The Conference Programme is online! 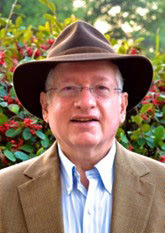 Prof. Henry Etzkowitz is a scholar of international reputation in innovation studies as the originator of the ‘Entrepreneurial University’ and ‘Triple Helix’ concepts that link university with industry and government at national and regional levels. As President of the Triple Helix Association (THA), he is at the center of a unique international network of several hundred scholars and practitioners of university-industry-government relations. Henry is also the co-founder of the Triple Helix International Conference Series, which has produced a series of books, special journal issues and policy analyses since it started in Amsterdam, 1996. Henry is Editor-in-Chief Triple Helix. Henry is Visiting Professor University of London, Birkbeck, CIMR; Special Advisor to the Shandong Academy of Sciences, PRC. From 2009-Henry is affiliated with Stanford University as a fellow of the Clayman Institute for Gender Research and then H-STAR, currently Science,Technology and Society (STS) where he will offer a seminar on Triple Helix innovation and entrepreneurship in spring 2017. Prior to coming to Stanford, he held the Chair in Management of Innovation, Creativity and Enterprise at Newcastle University Business School, UK. He received a BA in History from the University of Chicago, PhD in Sociology from the New School for Social Research and Phd Hon. in Engineering from Linkoping University. MinR Hans-Peter Hiepe is with the Federal Ministry of Education and Research since 25 years. The wide range of topics in his first years was in the fields of vocational training and higher education development, among others. He is leading the Department “Regional innovation initiatives; New Länder” within the strategy department of the Ministry for nearly 15 years. The particular emphases of his work are the promotion of business start-ups from science and the region-oriented innovation policy; for example, he has developed the program “exist – Start-ups from Universities” (today BMWi) and the “BMBF Innovation Initiative for the New Länder – Unternehmen Region”. This also includes the new program “Zwanzig20 – Partnership for Innovation”. Starting this year, he has the task to enhance “Unternehmen Region” to a Germany-wide innovation funding concept “Structural Change”. Prof. Christoph Kratky is member of the International Expert Commission for the Evaluation of the German Excellence Initiative (a 4.6 billion research investment program). He has been President of the Austrian Science Fund from 2005 to 2013 and Professor of physical chemistry, as well as a group leader for structural biology, at the Karl Franzens University in Graz, since 1995. From 1977 through 1995, Kratky held the position of Assistant Professor as well as of a group leader for structural chemistry, at the Institute for Physical Chemistry at the Karl Franzens University in Graz. Kratky holds a degree in Chemistry from the Eidgenössischen Technischen Hochschule (ETH) in Zurich, and was PostDoc at Harvard University. In his early career, Kratky was involved in research activities at the working group for structural molecular biology at the Max Planck Gesellschaft in Hamburg, and in 1994, he was a visiting professor at the Institute for Organic Chemistry at the University of Innsbruck. Kratky’s multiple awards and prices include the silver medal of the ETH Zürich, the Felix-Kuschenitz-Price of the Austrian Academy of Science, and the Sandoz-Price. Since 1998 he has been a full member of the Austrian Academy of Science. Dr. Dimitri CORPAKIS, an engineer by training, has to date more than 30 years’ experience in European affairs. Dimitri has worked in many EU policy areas including Education, ICT, Social Sciences and Humanities, and Regional Innovation Ecosystems with an emphasis on interactions and synergies between the Union’s Research and Innovation and Cohesion Policies (European Structural and Investment Funds). In recent years, Dimitri led the European Commission’s DG Research’s Unit on the Regional Dimension of Innovation (now called ‘Spreading Excellence and Widening Participation) managing the FP7 Programmes on Regions of Knowledge and Research Potential, building links with the Union’s Cohesion Policy, with a strong focus on developing Research and Innovation Strategies for Smart Specialisation (RIS3), ensuring the Commission’s link with the Joint Programming Initiative Urban Europe and managing actions on closing the innovation divide (new Horizon 2020 Part IV on Spreading Excellence and Widening Participation (Teaming, Twinning and ERA Chairs). Lena J. TSIPOURI is Professor of Economics at the University of Athens, Department of Economic Sciences and senior researcher in the Centre of Financial Studies of the same Department. She studied Economic Sciences at the Universities of Athens and Vienna, completed her PhD (Doctorat d’ Etat), at the University of Paris II and undertook postdoctoral research with a Fulbright Fellowship at MIT, Cambridge, Massachusetts. Prof. Tsipouri is currently a member of the Research, Innovation and Science Policy Experts (RISE) High Level Group of the European Commission advising the Commission of Research and Innovation. She has been a member of a large number of evaluation panels working for the Commission, and a member of several professional associations. She has undertaken consulting work mainly in the areas of research and innovation policy, regional development and economic cohesion participating in related projects and networks focusing on policy design, implementation and evaluation for EU institutions, the OECD and the UN. Prof. Tsipouri teaches Economic Development, European Economic Integration, Economics of Technological Change and Theory of the Firm. Her scientific research focuses in research and innovation, regional development and corporate governance. Her most recent publications are in the area of start-ups and responsible research and innovation. Prof. Mariza Almeida (Ph.D.) Industrial Engineering, M.A. Development, Society and Agriculture) is Professor at Industrial Engineering Scholl at Federal University of the State of Rio de Janeiro, Brazil. Mariza Almeida holds a PhD in Production Engineering, and is currently an Adjunct Professor on the Production Engineering School at Federal University of the State of Rio de Janeiro, in Rio de Janeiro, Brazil. She is an Editorial Board Member of the International Journal of Technology and Globalisation. Since December, 2013 she is a Triple Helix Association vice president. Her first professional experience was as an agronomist, working for the Rio de Janeiro state government. In a professional field where women rarely participate, she was able to work in her field of study and help socially excluded groups such as small-scale farmers and the landless rural workers movement. 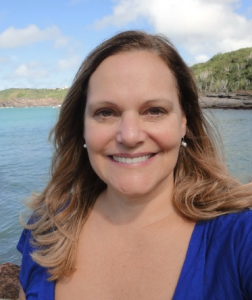 Since 2005 she’s been working as a professor and researcher of different institutions Federal University of Juiz de Fora, Faculdade Ibmec and Unisuam. She was a coordinator of the Phoenix Incubator at the Engineering School at the State University of Rio de Janeiro (2005–2007); a Researcher at the Technological Incubator of Popular Cooperatives – COPPE/UFRJ (2003–2004) and a Coordinator of the Entrepreneurship Support Nuclei at the Augusto Motta University Center – UNISUAM (2011). She’s been General Coordinator of Incubadora da Unirio, an incubator based in Federal University of the State of Rio de Janeiro, supports innovation start-ups and spin-off companies. Mariza’s research interests include national and regional innovation systems and policies, Triple Helix interactions and the entrepreneurial university, entrepreneurship and sustainable entrepreneurship, and the gender dimension in science, technology and innovation. 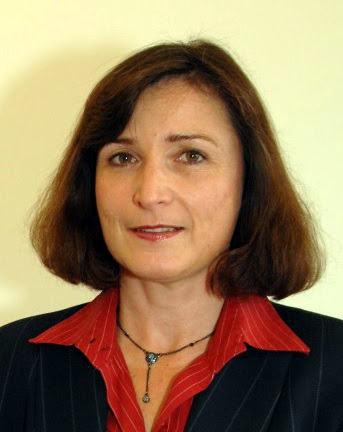 Dr. Emanuela Todeva – formerly Reader in Comparative Business Development and Senior Lecturer in International Business Strategy at the University of Surrey in the UK, is now directing the Research Centre for Business Clusters, Networks and Economic Development. Emanuela Todeva has worked in the fields of organisation theory, public administration, behaviourism, institutionalism, globalisation and co-evolution theory. She is a lead consultant on cluster mapping and internationalization of value chains, biopharma clusters, governance of innovation, science parks, intermediation and facilitation of knowledge transfer, structure and integration of national innovation systems, cooperative business strategies, alliances, and multi-stakeholder partnerships. Her book on ‘Business Networks: Strategy and Structure’ has received a wide popularity among academics and business practitioners, alongside her research on new technologies and restructuring of business networks in transition economies. Dr. Emanuela Todeva is now leading projects on smart specialization and integration of European value chains, regional innovation systems and multi-stakeholder governance. She is also a Visiting Professor at the University of Sao Paolo in Brazil and Senior Consultant to the European Commission, Institute of Prospective Technologies, OECD, and IDB with commissioned work on evaluation, capabilities mapping, institutional assessment and other development work. 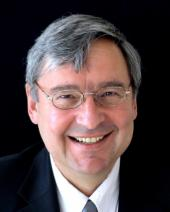 As of 1st June 2011 Dr. Martin Raditsch was appointed managing director of InnovationLab GmbH. Following his graduation in molecular biology at Ruprecht Karls University Heidelberg Martin Raditsch worked in the life science sector at BASF SE where he held several management positions. In 2001 he joined EMBL Enterprise Management Technology Transfer GmbH (EMBLEM) and his responsibility included business development and commercialization of IP. He was appointed deputy managing director in 2004. Martin Raditsch is an alumnus of the St. Gallen Business School and the Max Planck Gesellschaft, in addition, he is member of several scientific technology transfer associations such as LES and ASTP. Studied Architecture and Urban Planning in Kassel and at Columbia University in New York. For six years he was lecturer and researcher for architectural history and theory at Leibniz University in Hanover. He practiced as an architect for ten years in Berlin and is an extraordinary member of the the German Association of Archiects BDA. In publications and juries, as a visiting critic and speaker in Europa and North America he addresses the interface between theory and practice of the built environment. Befor being appointed as Curatorial Director of IBA Heidelberg he was for five years Senior Researcher at the Federal Foundation of Baukultur.